On June 6, 2015, Cydcor held its 3rd Annual “Day of Smiles” fundraiser to benefit the international children’s medical charity, Operation Smile. The Cydcor team went door to door, business-to-business around the nation and raised money to provide these necessary, life-changing procedures. Operation Smile’s mission is to repair cleft lip, cleft palate and other facial deformities for children in need around the world. 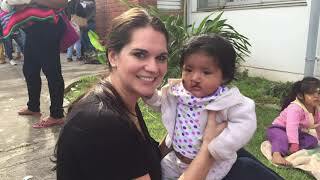 Though this surgery is performed as a matter of course on any affected newborn in America, in many countries children must spend their whole lives with a cleft palate, and as a result many don’t live to see their first birthday. Since 2011, Operation Smile and Cydcor’s fruitful partnership has helped heal nearly 2,100 smiles by raising more than half a million dollars.